Is it normal to have insomnia after pregnancy? 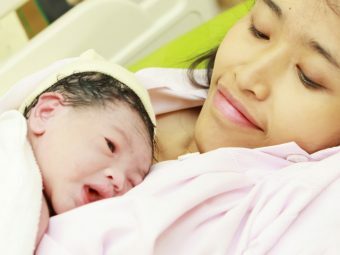 What causes insomnia after childbirth? Are sleep deprivation and postpartum insomnia the same? According to the Akershus Birth Cohort Study, 60% women experience insomnia around the 32nd week of pregnancy and eight weeks after delivery. The study also found that the average sleep duration of the women was 7hr 16min at 32 weeks, 6hr 31min eight weeks postpartum and 6hr 52min two years postpartum (1). Changes in the sleep cycle during and after pregnancy are not uncommon. However, it is important to know what’s causing that change and address any sleep issues immediately, to prevent them from becoming chronic. 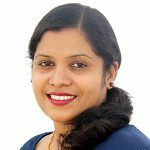 In this article, MomJunction addresses the issue of postnatal insomnia and how you can cope with it. When you desperately need to sleep but are unable to even though the baby is sleeping soundly, you could be suffering from postnatal insomnia. Mothers suffering from this condition usually report that they are restless and on the edge. They tend to stay awake anxiously to see if their babies are asleep and worry if their little ones cry. They are light sleepers and wake up to the slightest sounds (2). Postnatal insomnia is quite common. But if you are finding it difficult to sleep long after the delivery, you should consult a doctor. Managing and treating the sleep problem as soon as possible lowers your risk of developing further complications such as depression and hypertension. Here are the common causes of postnatal insomnia. A huge shift in the hormones after pregnancy creates discomfort and trouble in sleeping. The low estrogen levels lead to sleep disorders that are associated with depression (3). After childbirth, certain hormones in your body try to flush out the fluids that have supported your body during pregnancy (4). This leads to excessive sweating at night, causing discomfort and sleeplessness. You will experience varied emotions after having a baby. It can be due to postpartum anxiety, depression, post-traumatic stress disorder and obsessive-compulsive disorder. 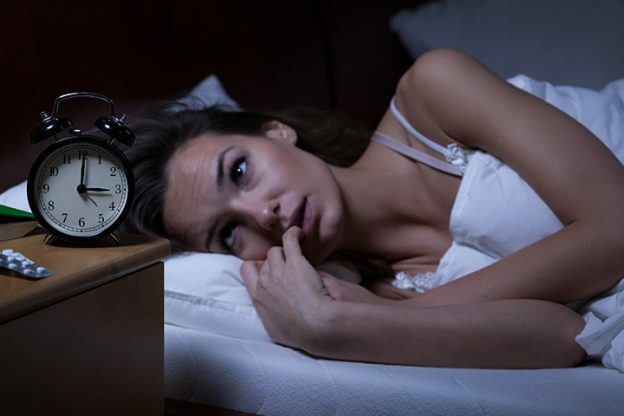 All of these lead to changes in sleeping patterns and sometimes insomnia (5). Sleep disturbances are common at least during the first few weeks after delivery. It indeed takes time to return to sleep after feeding the baby at odd hours, and sometimes, you may not be able to go back to sleep at all (6). Depending on the cause, postnatal insomnia can last as long as a few months following childbirth. If you experience any of these, see your doctor immediately. Postpartum insomnia can be a minor problem for some, but for others, it can be a major health disorder. There are no quick fixes for postnatal insomnia. But here are a few that can help you face the situation. Try resting whenever your child sleeps, instead of doing household chores during this time. Go to bed as early as possible. If you cannot fall asleep, try relaxation techniques such as a hot bath, reading a book or having herbal tea that calm your mind and promote a good night’s sleep. Ask your partner to help with changing nappies and dressing your baby in the morning. If you are bottle feeding, he can help feed the baby as well, when you are busy with other things. Initially, babies wake up several times at night. But as they grow, they sleep longer during the nights. Analyzing their sleep cycle to plan your day can help you sleep better. Stress makes you tired, but it also makes falling asleep difficult. Try not to worry or stress about things. You can also try de-stressing techniques like meditation, a walk or just listening to calming music. You may love your cup of Joe every morning, but that is often the reason you have difficulty sleeping. If you cannot avoid caffeine completely, try limiting to just one cup of coffee and have it no later than noon. Computers, mobiles, and TV stimulate brain activity that disturbs your sleep. The light emitted by these devices lowers the level of melatonin, which controls your sleep pattern (7). Simple rhythmic breathing exercises can make you feel drowsy and help you relax. Muscle relaxation exercises also help you calm down and eventually make you sleepy. 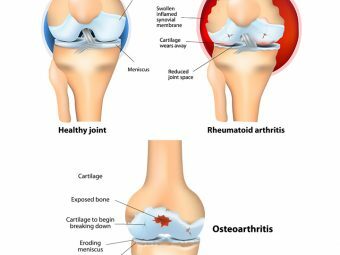 When these simple activities don’t help, you can try herbal remedies. Certain proven herbal remedies can beat depression and help you sleep longer. But do check with your doctor before trying them. A research on postnatal women found that having chamomile tea for two weeks improved the quality of sleep and also mitigated depression symptoms. But the effects of this tea did not last longer than four weeks. So, this could only be a short-term remedy (8). The aroma of lavender is known to stimulate positive feelings in a mother, towards her baby. In a study, postnatal women were instructed to have a cup of lavender tea daily for two weeks, while inhaling the aroma. The women formed a stronger bond with their babies, and also had fewer signs of depression and fatigue. As with chamomile, the positive effects of lavender were limited only to four weeks (9). In a research study, postnatal women were given acupressure therapy on the auricular point called the Shen Men pressure point (the point on the ear, at the apex of triangular fossa) for 14 days, four times a day. Resultant scores showed an improvement in sleep quality (10). In a Taiwanese study, a group of postpartum women who received a 20-minute back massage therapy every evening for five consecutive days noticed an improvement in their sleep quality (11). Magnesium and iron play a prominent role in preventing neurological disorders. They help promote better sleep and also beat depression (12). There are a few gentle and non-addictive prescription medications such as Nytol, Sominex or Simply Sleep that help you overcome postpartum insomnia. However, the main ingredient in these medications is diphenhydramine, which can dry up the breast milk in some nursing moms (13). A study found that cognitive-behavioral therapy can improve sleeping habits and behavior in women with postpartum insomnia and depression. Their mood and sleep quality improved (14). Below, let’s know the answers to a few questions that moms often have on insomnia. 1. Can depression cause insomnia? Sleep and depression are related, although it is not certain whether depression causes insomnia or vice versa. Either way, insomnia is common among those with depression. 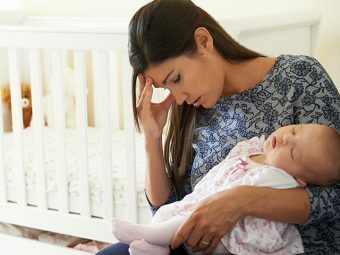 Inability to sleep even when the baby is asleep or feeling fatigued all the time could be signs of postpartum depression. If you experience them frequently, consult your doctor (15). 2. How long does postnatal depression last? Postpartum depression usually occurs within four weeks of delivery, and it can last up to 30 weeks (16). It can last for more than seven months in 25-50% of new moms (17). 3. Are sleep deprivation and postpartum insomnia the same? Sleep deprivation and insomnia are not the same. Sleep deprivation is the inability to sleep due to an external cause such as a needy pet or a baby, long working hours, and noisy neighbors. But insomnia is the inability to fall asleep even when the circumstances are ideal for it. This could be due to poor physical or mental health, poor job performance, or anxiety (18). Self-care is crucial when you become a mother. If you have been suffering from insomnia post childbirth, seek help. You can talk to other new moms via forums, and seek tips to handle the problem. If the strategies discussed above are not working, consult a doctor immediately. Don’t let postnatal insomnia affect who you are as a woman and a mom. Have suggestions or advice on how to deal with postnatal insomnia? Let us know about them in the comments section. 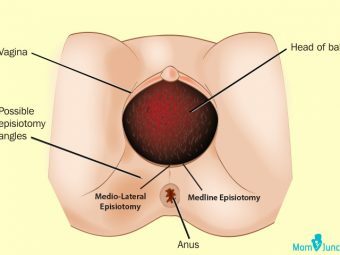 What Is Episiotomy And How To Take Care After Delivery?